More and more houses today are built on spec – meaning, a developer builds a home for the sole purpose of selling it, fully complete, to a buyer. I currently live in a spec condo, and almost bought a spec house, though we were involved very early and customized nearly everything in it. 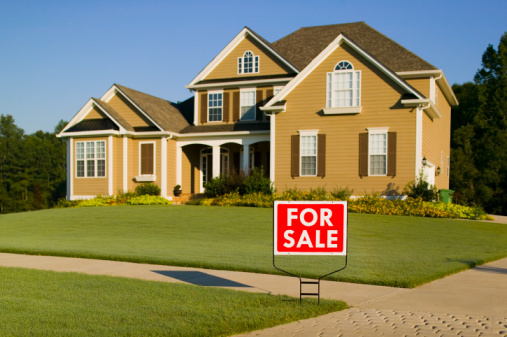 The idea of buying something brand new that is ready to move into has broad appeal – and understandably so! However, spec houses typically exhibit a litany of decorating disappointments. They are usually very generic-looking inside and out – after all, they must appeal to a very wide audience with varying tastes. Also, builders tend to cheap out on materials, fittings and fixtures in order to maximize their profits. If you were in this business, you’d probably do the same. If you bought a spec house, odds are you’re dealing with a house in which every room is painted a nondescript beige (or perhaps, with more ‘progressive’ builders, a light warm gray). I have no problem with beige, but I do have a problem with every room being the same color. Not only is it uninteresting, but it doesn’t take into account how the rooms are used (and by whom), their unique lighting conditions, the color and style of your existing furnishings, and desired traffic flow from one room to the next. Painting one or two rooms is not terribly expensive (especially if you DIY), but painting a whole house is best left for the pros, and can be quite costly. Focus on the first floor initially, if budget is limited, and be mindful of the way color flows from one room to the next. I also strongly recommend incorporating wallpaper in at least one or two rooms – usually, your more formal ones (if you have them). 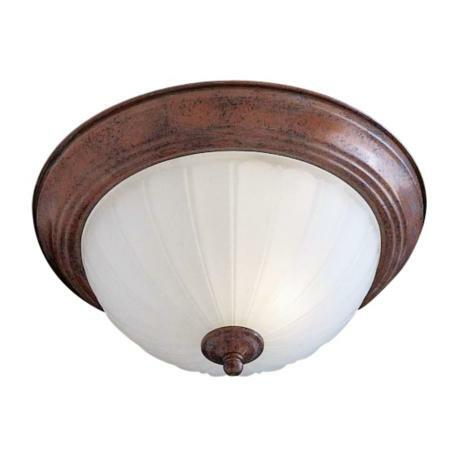 For example, powder rooms, dining rooms, and maybe as an accent in the foyer or master bedroom. Again, a 100% painted home is at risk of looking a bit montonous. Do you have something like this illuminating your house? If so, you’ll probably want to budget for new lighting fixtures. This is an area where builders tend to be the most stingy. They’re hoping you won’t notice that the lights aren’t scaled appropriately, are made of cheap materials, and look like a certain part of the female anatomy. Good lighting makes a HUGE difference in the appearance of your home’s interiors, and should therefore be prioritized on your home improvement list. If you can afford it, you should also bring in a lighting designer to evaluate and optimize key spaces like your kitchen and family room. Most builder-installed lighting plans aren’t particularly well thought out, and may not provide adequate light (quantity and quality) where you need it. Kristie Barnett, aka The Decorologist, recently wrote a great post on lighting that I recommend checking out. Your cabinet hardware can add a great deal of character to your home, and help to reinforce your interior style. 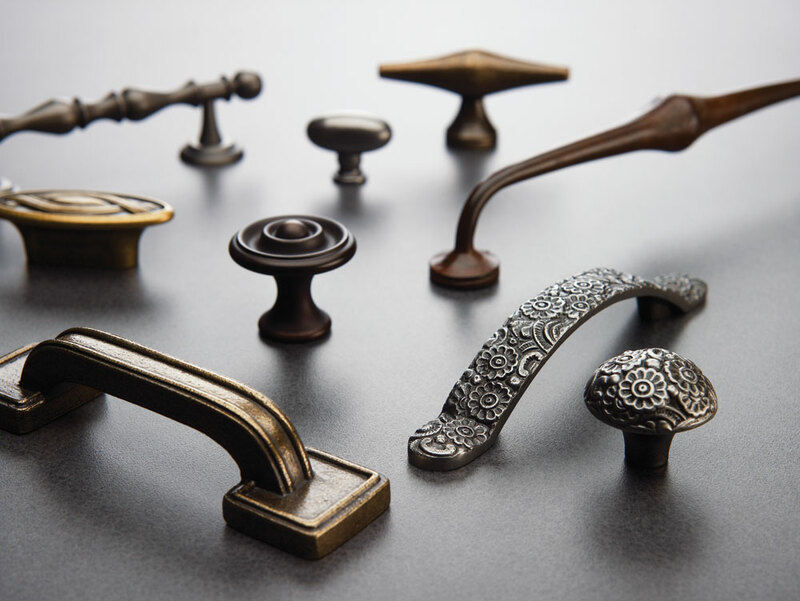 There are SO many options out there for decorative hardware. Depending on how big your kitchen is, and how many bathroom vanities you have, this is not necessarily a “budget” update, so just plan accordingly before you start removing all of those knobs and pulls. If you are flush with cash, you might also consider replacing the interior and exterior door hardware with more unique and substantial pieces. If you bought a spec house, chances are your front door is either the same color as your shutters, the same color as your house, or similar. Usually, your front door – and entire facade – will look a million times better when painted a color that is different than any other color on your house. Red is typical, but there are so many other options! Other warm colors (or warm versions of cool colors) generally work well too – they appear to advance, which makes the door ‘pop’ and signals to visitors that they should enter here. However, there are notable exceptions! Sometimes a high gloss black door can look stunning on a home with black shutters. And if you have a beautiful wood door with a natural (stained) finish, you probably don’t want to be painting it. 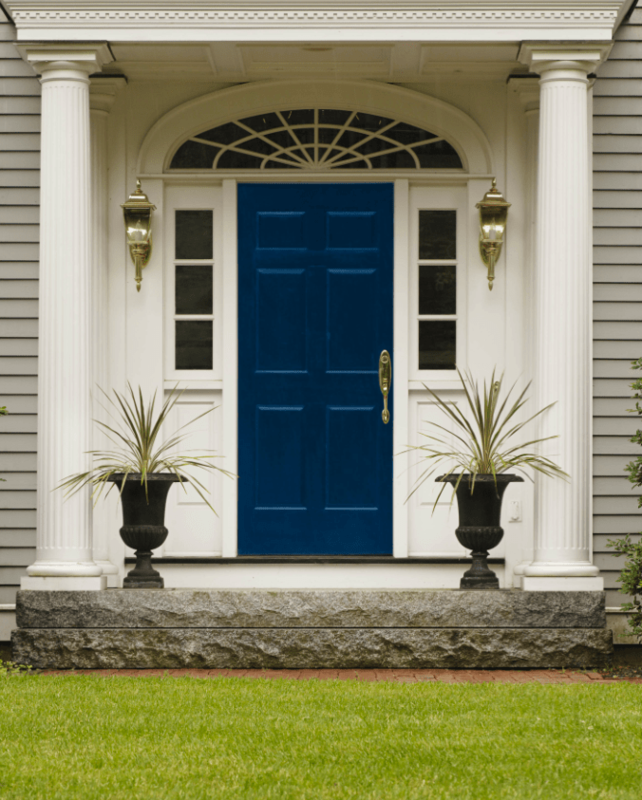 For some front door ideas, check out a post I wrote on this topic last year – A Warm Welcome. If your home features a main staircase that is visible from the foyer/entryway, adding a runner will not only make your house look more ‘finished,’ it will also provide other great benefits like improved acoustics and safety. A runner on the stairs also just plain feels good under your feet. Still need to be convinced? 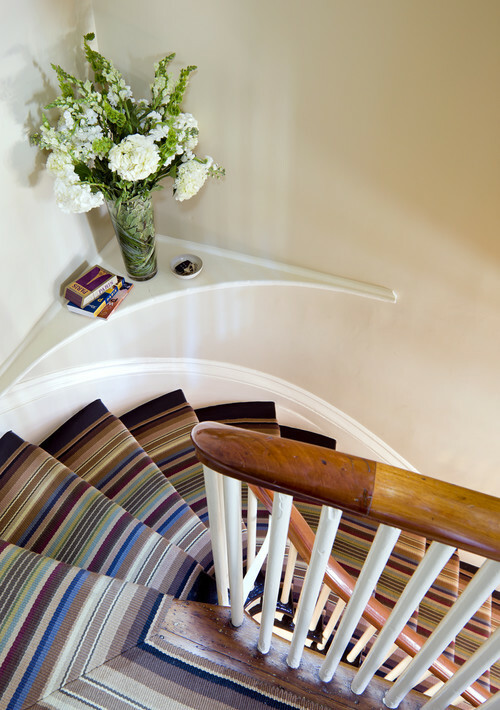 Hop over to this previous post, which provides all the benefits of stair runners, and plenty of inspiration for different treatments. Do you live in a spec house? I’d love to hear how you have customized your home to make it uniquely yours! And if you need advice on color in your home, or have a decorating project to tackle, I would love to help – please visit my business website and contact me! 2. Les gens vont acheter ce que vous vendez? Don laisser le récit hollywoodien du succès du jour au lendemain dotcom histoire vous induire en erreur. Être un entrepreneur à succès prend plus d’une grande idée, il faut exécution. Quel que soit le type est acheté, vous devez être sûr que la qualité du produit n’est pas compromise pour. Si même l’individu doit débourser un peu plus pour ses bottes, il devrait être acceptable par eux. De ce fait, il est toujours mieux d’aller avec des marques leaders, par exemple Bates, qui peuvent fournir une assurance de qualité des chaussures qu’ils génèrent. I’m thinking about having a custom built home for my family to live but I don’t know much about home designs. I liked how you included pictures in your article post because it helped my creativity flow for the design of my home. I really think painting the front door a different color like a bright blue or a popping green hue would make my home seem interesting to visitors. I think I’ll try this out with my new custom home!